NSW Liberal state election: Coal brawl damages election hopes:Turnbull. Former PM Malcolm Turnbull speaks out. Former Prime Minister Malcolm Turnbull says coal in-fighting within the Liberal and National Coalition is damaging NSW Liberal state election candidates’ chances. Criticising the ongoing spat over coal-fired power plants, Turnbull says it will be harder for NSW Liberal Premier Gladys Berejiklian to win office again at the polls on March 23. Federally, pro-coal National Party MPs are pushing for a new coal-fired power station in Queensland. However, the Liberals are now warming to renewables as they listen to urban electorates, where more voters are installing solar panels and battery storage. Data shows wind, solar power and energy storage are now the cheapest forms of new-build energy in Australia. Malcolm Turnbull told The Age Australia now has the means to get to zero emissions or near zero emissions energy. However, the transition relies on “engineering and economics rather than ideology and idiocy,” Turnbull says. 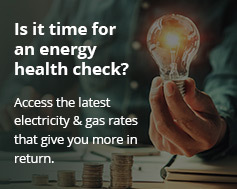 Turnbull was dumped by his party in August 2018 after his National Energy Guarantee (NEG) divided supporters on energy policy. He lost the top job to Scott Morrison in a leadership spill. Turnbull had then just ditched the NEG. This was in a failed bid to appease pro-coal conservatives in his own government. Opposing forces had him trapped. Pro-coalers like former PM Tony Abbott and Deputy Prime Minister Barnaby Joyce told him he went too far in supporting renewables like solar power. However, Labor and the Greens said he didn’t go far enough. The NEG’s emission target was too low, they said. The NEG aimed to reduce carbon emissions by 26-28 per cent of 2005 levels by 2030. The Coalition now has no coherent energy policy as the nation heads towards a federal election in May. And this month, NSW Liberal state election hopes are on the line. Turnbull is warning the Coalition not to let coal in-fighting split the party again. He says repeating history is “idiocy” because it threatens the cohesion of the federal leadership. It also hampers the NSW Liberal & National Coalition government’s chances of being re-elected. Voter polls in NSW also indicate that the Coalition and Labor rank evenly ahead of Saturday’s state election. Former Nationals leader Barnaby Joyce has also suggested he may challenge for future leadership of the party. This threatens to create further federal disunity.